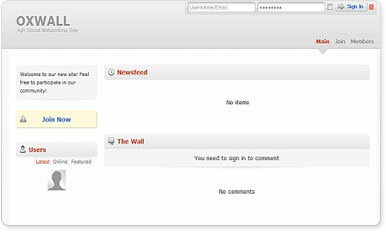 Oxwall is unbelievably flexible and easy to use PHP/MySQL community software platform. Oxwall is used for a wide range of projects starting from family sites and custom social networks to collaboration tools and enterprise community solutions. Oxwall is released under the Common Public Attribution License 1.0.